See, I told you this was a good ‘un! 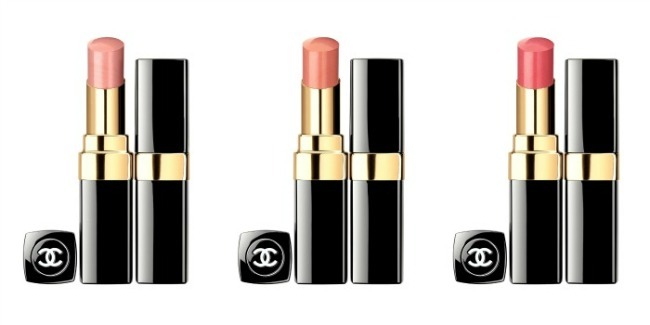 We’ve already seen the delicious new cream to powder blushers in action but today let’s have a sneaky peek at the rest of Chanel’s’ autumn makeup collection. 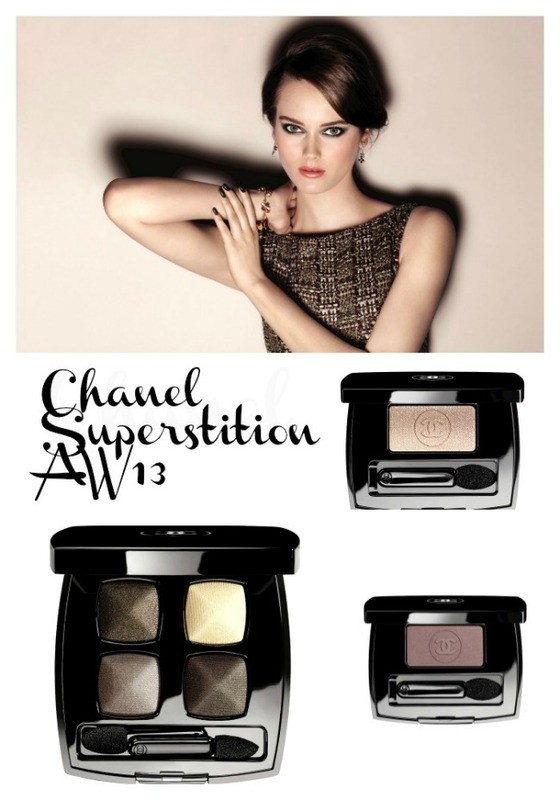 Superstition is inspired by Gabrielle Chanel’s interest in good luck charms and talismans, and as a collection, it’s as beautiful and wearable as you could wish for. There’s a lipstick to pair with each new shade of blush: two shades of Rouge Coco in Icone (golden beige) and Mystique (apricot), and four versions of Rouge Coco Shine in shades of pink and burgundy: Secret, Instinct, Rendez-Vous and Esprit. 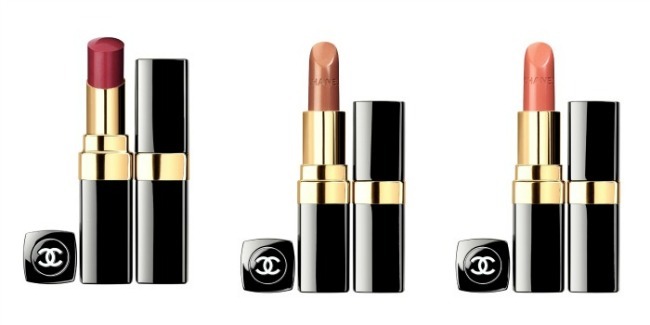 Both lipsticks are amongst my favourites: the Rouge Coco formula is creamy and opaque, whereas Coco Shine is all about a sheer and glossy pout, but with generous colour payoff, too. They’re both priced the same, at €30.50 a bullet. 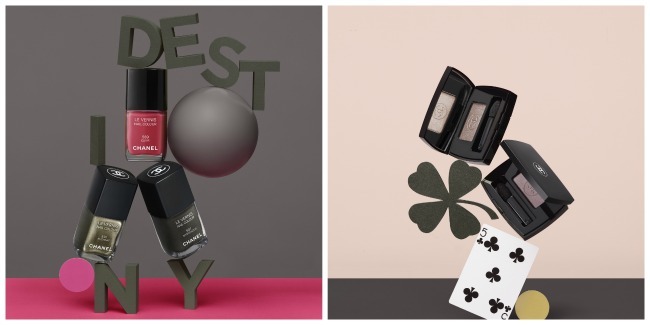 There’s always huge anticipation around a new shade of Le Vernis and here we have three to titillate and tempt: the milky pink Elixir, muted with a touch of grey; the limited edition golden khaki of Alchimie; and the deep grayed out khaki of Mysterious. 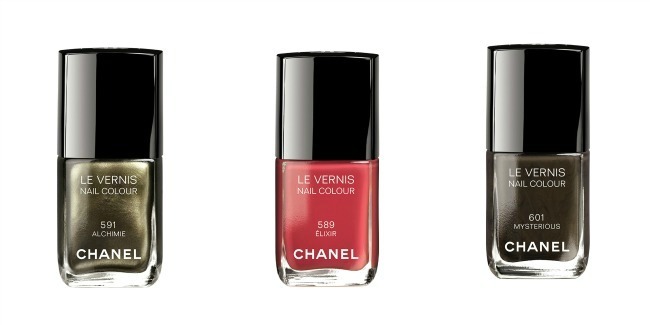 Chanel nail polishes are one of my biggest weaknesses: I really want all three, but at €22.50 will be limiting myself to just the one. I think. As for the eyes, a more chic selection of shadows would be hard to find. 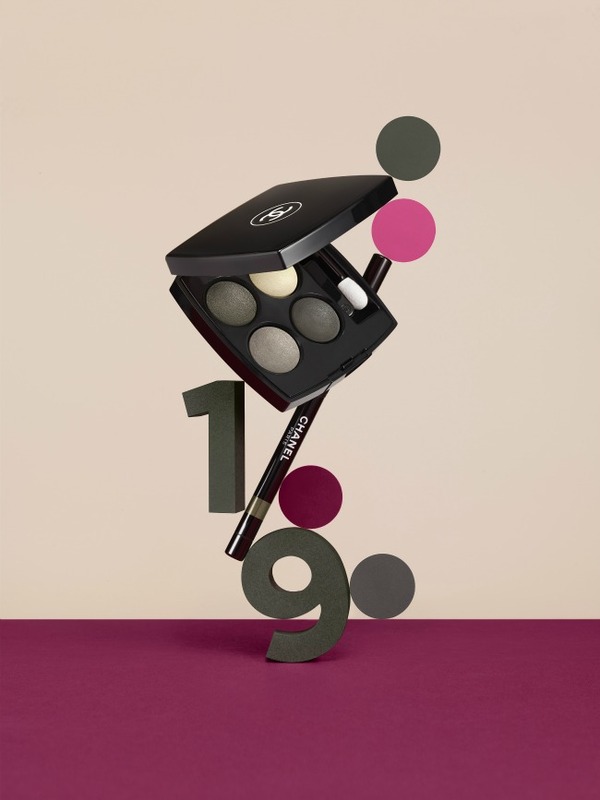 Mystere (€47.50) is a quad of four deliciously sophisticated and flattering shades of khaki, ivory and taupe – there’s a mix of mattes and shimmers to play with shadow and light. It will be joined on counter by two single shadows in Hasard and Gri-Gri, priced at €27.50 a pop. Launching on August 16th, there’s lots here to love and not a single shade you won’t get lots of wear from. I’m smitten – are you? Loving the pretty pink lip shades in this collection. Have you tried the eyeshadow palettes Emma? And if so, what did you make of them? I had one before and I found it very hard to blend out, was so disappointed with it I swapped it away, colours were beautiful though. Love the look of Elixir! 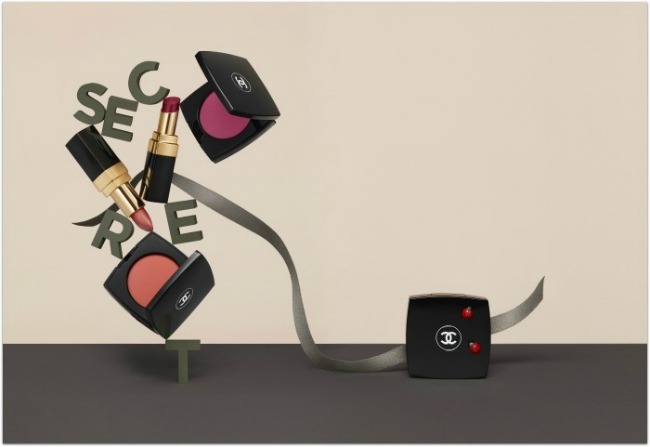 I love the colours they've chosen, the deep shades mixed with peaches and apricots, I loved what Lisa Eldridge did with the collection the the Chanel youtube channel. Dying to try the cream blushes, I've heard they're gorgeous! I love this collection. I think the colors are so unique. Really loving the lippies :D.
I'm smitten too!!! Elixir, and a cream to powder blush, maybe a burgundy lipstick. One at least! The eye shadow palettes are so pretty and tempting.